Insufficient acoustical construction left condominium builders facing noise complaints from residents almost immediately after this building opened its doors. The floor/ceilings’ original Impact Insulation Class (IIC) rating allowed footsteps and other sounds to traverse easily between units. Replacing the floor system, though, would entail costly damage to tile surfaces. 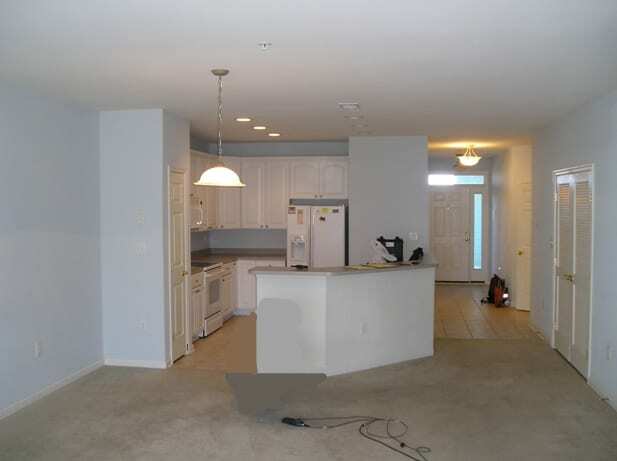 After a drawing review, site inspections and field testing, Phoenix Noise and Vibration provided the client with a thorough accounting of the condos’ noise issues. The analysis from our Institute of Noise Control Engineers-certified PE showed that, while STC ratings for building components were adequate, IIC ratings were not. 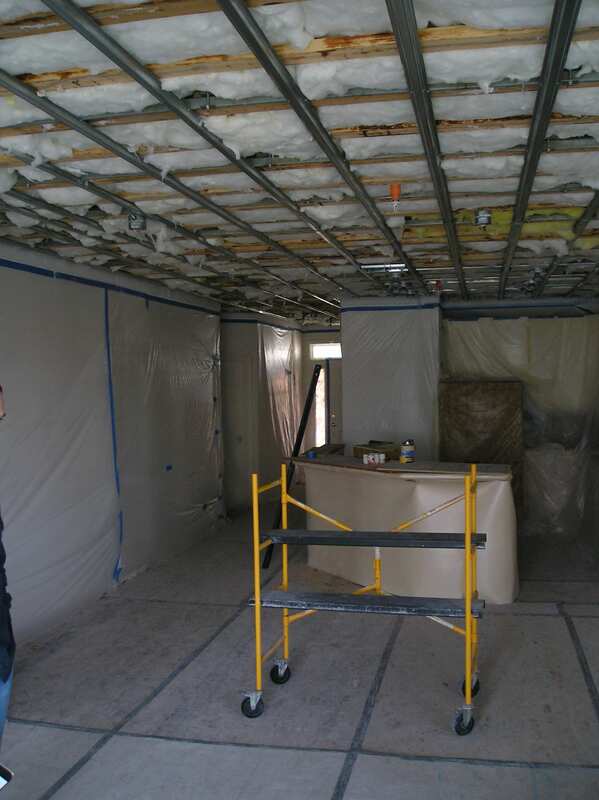 In a new building, architects would include noise mitigation between the floor and subfloor and a resilient channel above ceiling drywall to address the problem. But those solutions proved impractical in a finished residence. 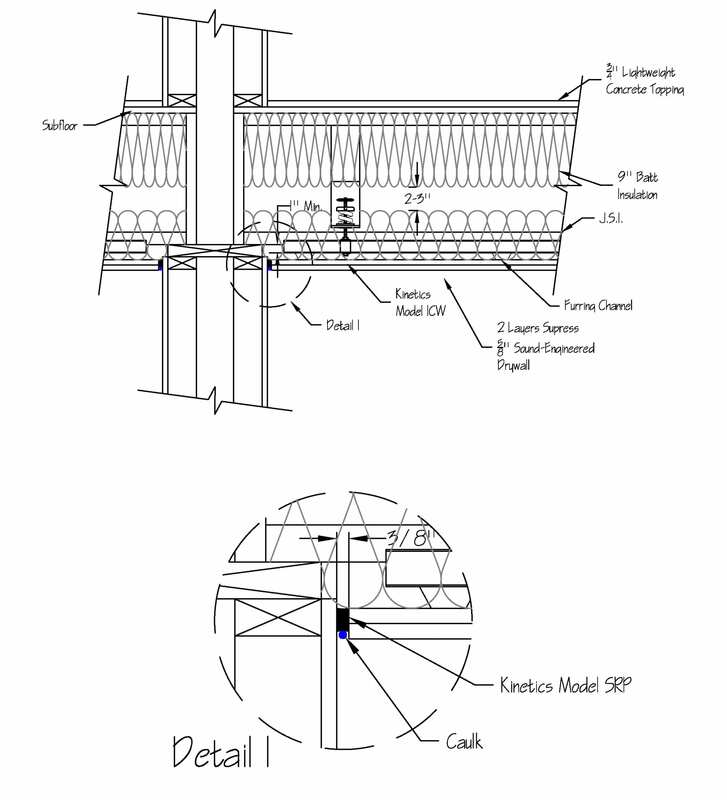 Instead, we approached the problem from below – ordering spring-isolated ceilings (see Figure 2) to create a new noise barrier between apartments. Our end-to-end testing, design and construction management services ensured this novel solution was executed properly. While unusual for this type of construction, the spring-isolated ceilings performed just as expected. Post-installation testing showed they improved sound insulation by 13 IIC points. Just as important, our mitigation kept the project within the client’s design requirements and budget.